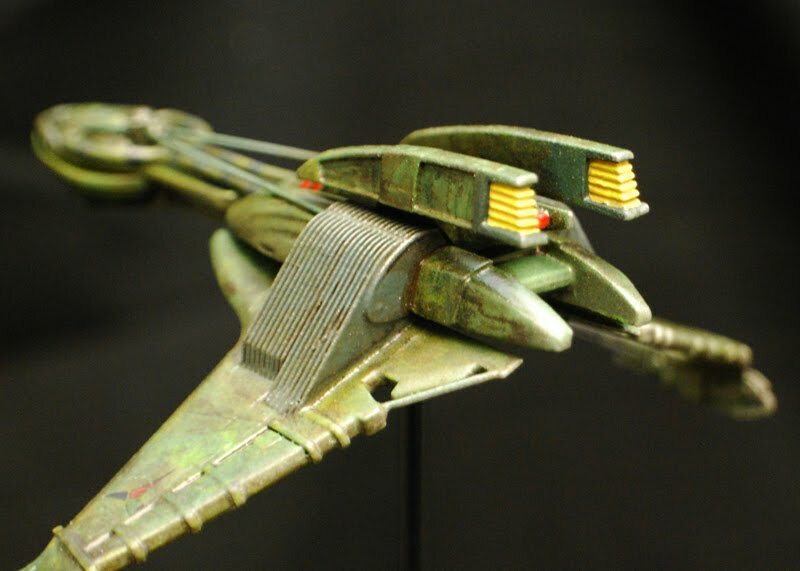 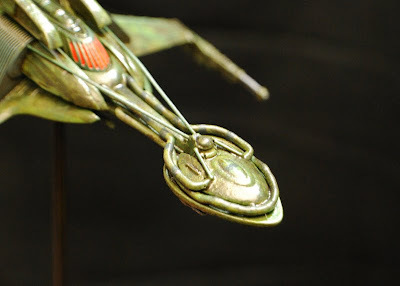 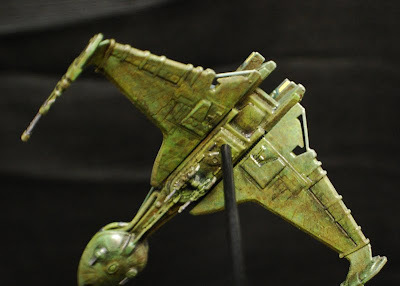 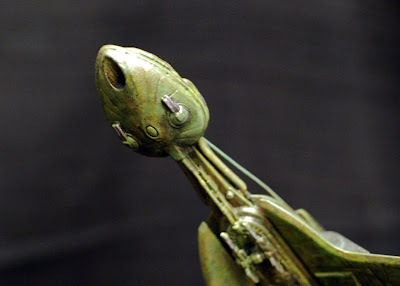 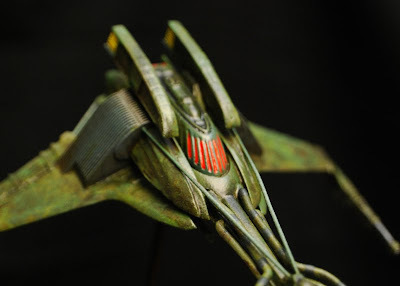 Here's some painted pics of my 1400 Scale Early Klingon Bird of Prey produced by Starcraft Models. First, I have to say that this kit is amazing, the detail is spot on, super crisp casting, virtually air bubble free and all the pieces fit together like a charm. 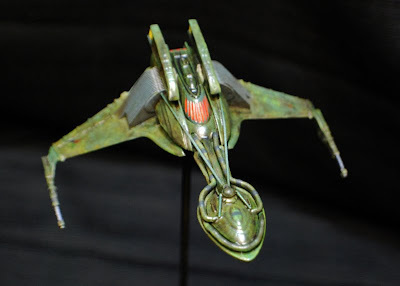 That being said the only addition I added to it was floral wire on the bridge/neck section and the rear wings. 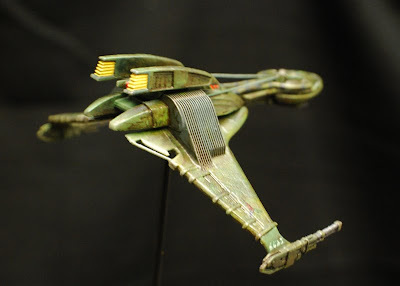 I primed the model Grey, painted it with 2 shades of Tamiya spray, then dry brushed it with 3 shades of dark green. I applied Vallejo Smoke Wash over the whole model, then hit some specific areas with Citadel Badab Black wash. After that I sprayed the first douse of Matte Varnish, went back added the few decals, Starcrafts klingon emblems and JT Graphics Klingon script. 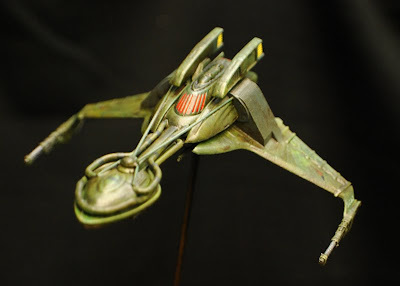 After the decals were varnished I applied some Black and brown weathering powders and a sprayed the final coat of clear matte varnish.